The biggest problem with the Audi cars with MMI 3G Plus and sim card slot has always been the way that the Bluetooth works. If you have installed sim card then you can’t connect your phone via bluetooth to receive the phone calls. If you want to use data connectionf or the WiFi Access Point, Google Maps send-to-car, Audi Connect Weather/Petrol Prices/etc., and the Google Earth Navigation display. you have to put your sim card in to slot.. 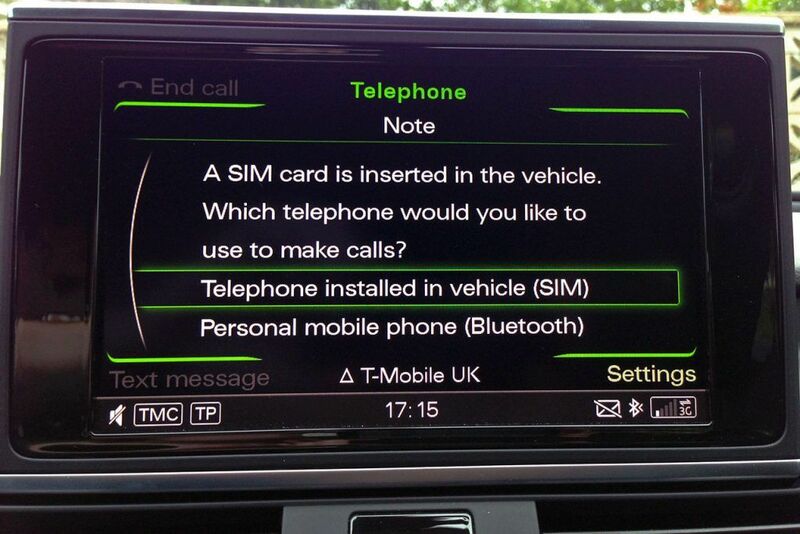 However when you plug in the SIM card into the dashboard slot, it disconnects your phone from Bluetooth for both incoming and outdoing calls. 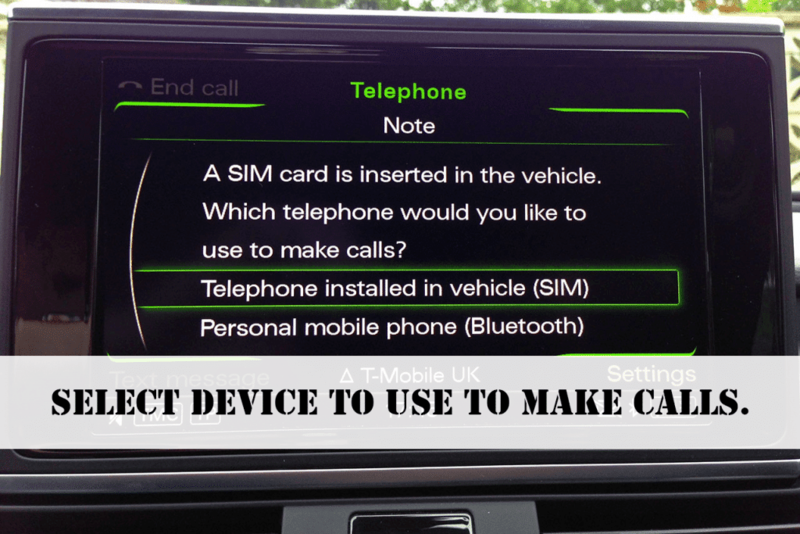 So you have to make a choice between having a Bluetooth telephone for calls, or having a SIM in the dashboard for the data connection. This is not right. Install latest firmware update (click). Enable hidden green menu (click). Once you have installed firmware update (and if you before have enabled hidden green menu) you might need to reactivate hidden green menu (firmware update just disabled it again). 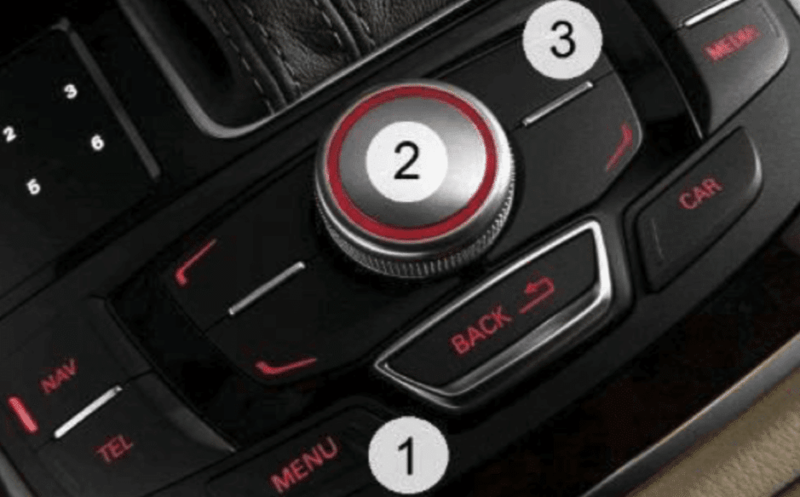 Once it’s enabled again, to get into the Hidden Menu, press and hold the CAR and MENU buttons for a few seconds. 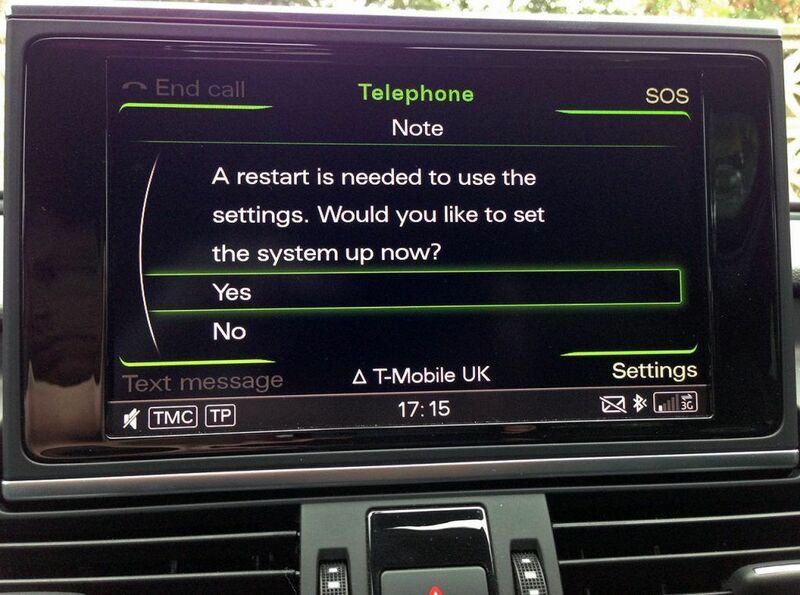 You may have to have a few attempts – if you don’t press them at the exact same moment either CAR or MENU activates. You know if you have done it right because the red LEDs in the buttons do not illuminate. (Note that once you’ve enabled the green menu in VCDS, you only have to use the button combination in the future to get into it). 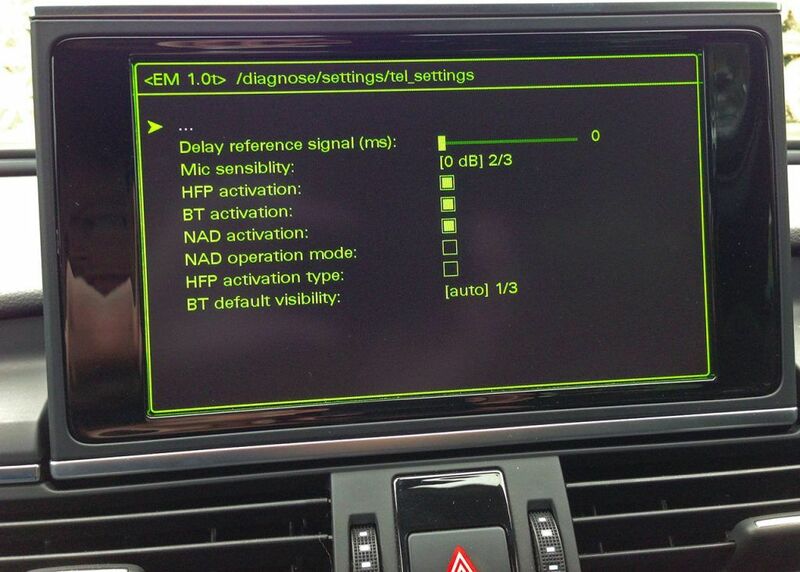 Once you’re in the hidden green menu, you want to drill down to diagnose/settings/tel_settings. Scroll down to “NAD operation mode” and enable it (default is for “NAD activation” to be enabled but “NAD operation mode” being disabled). Hidden green menu > NAD operation mode enabling. Then reboot the MMI by doing the three button press of MENU, central MMI knob and top right softkey. 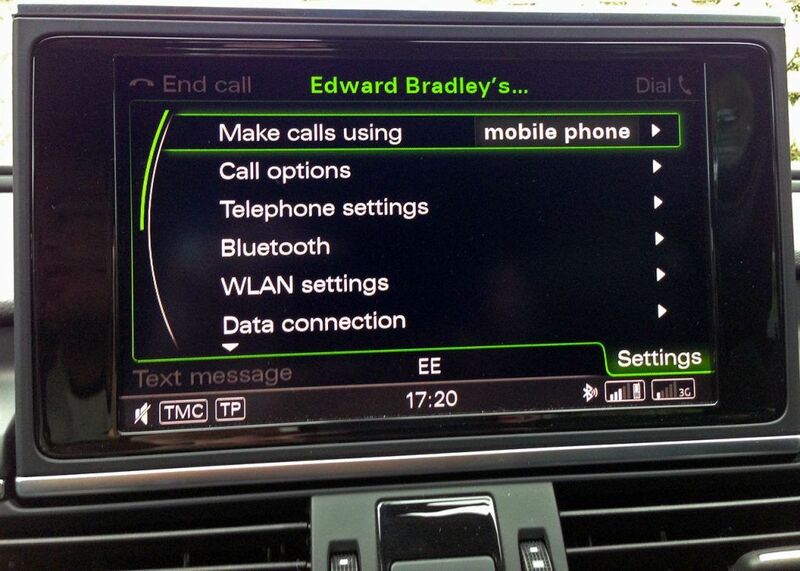 When the MMI reboots, it should come up straight away with the option of which device to use to make calls. Select which SIM you want to use (Bluetooth mobile phone) and the system will advise that it wants to do a restart. Select yes. After the reboot you’ll now have two signal strength displays at the bottom of the screen – one for the SIM card in the dashboard (data) and one for your Bluetooth mobile phone (calls). 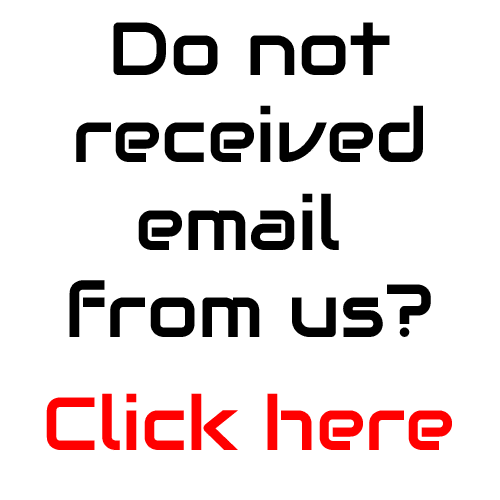 Select device to make calls / Telephone settings.